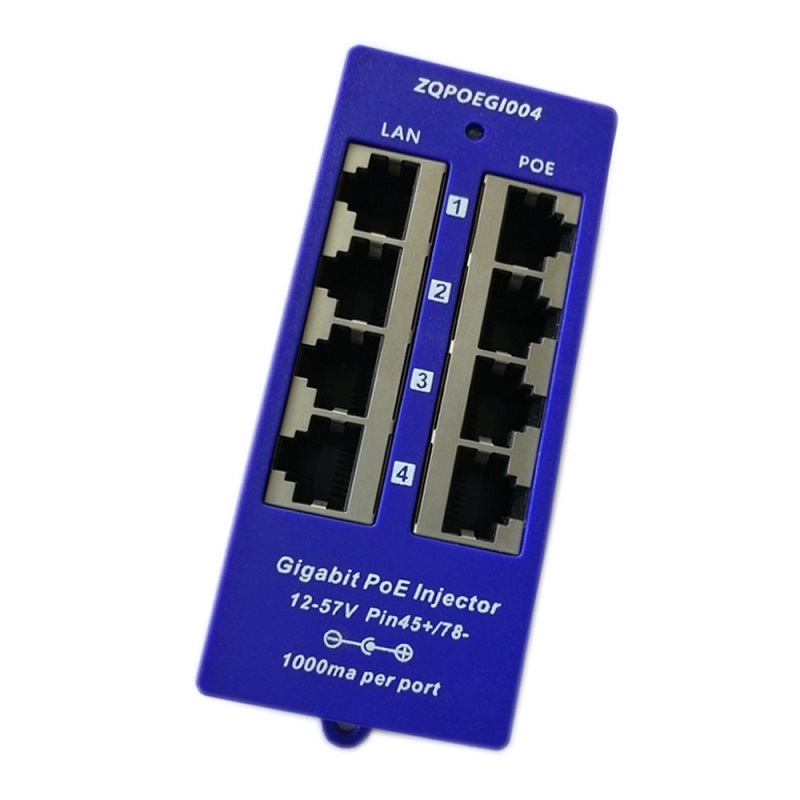 4 PORT POE INJECTOR supports 10/100/1000M Ethernet, LAN RJ45 sockets is for Switch/PC/HUB 1/2 & 3/6 & 4/5 &7/8 are transmitting data. POE RJ45(power+data) socket is to deliver data and power. Pin 1/2 & 3/6 & 4/5 & 7/8 transmitting data, Pin 4/5(+) & 7/8(-) is for power. Passive PoE is composed of 4 set of RJ45 sockets and one 60V DC power jack. Input power requests 90W or more AC to DC power converter. The input DC hole diameter is 2.1mm and the other end OD is 5.5mm. The sum total output power must be lower than the Max input power of AC-DC power converter. If not, it is necessary to consider taking higher AC-DC power converter. There commended formula for AC-DC power converter is: 10W per RJ45 set (1 set = 2 x RJ45 sockets). 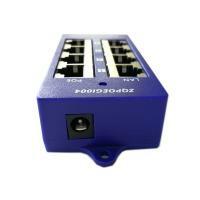 For example, 4 x 10W = 40W for 4 port Passive PoE panel.